Defence Secretary Sir Michael Fallon said: “The Type 26 Frigate is a cutting-edge warship, combining the expertise of the British shipbuilding industry with the excellence of the Royal Navy. We will cut steel on the first ship later this month – a hugely significant milestone that delivers on our commitment to maintain our global naval power. These ships will be a force to be reckoned with, there to protect our powerful new carriers and helping keep British interests safe across the world. Charles Woodburn, Chief Executive, BAE Systems added: “The award of this contract is a strong endorsement of the talent and commitment of our employees across the UK and reinforces Glasgow as the centre of shipbuilding in the UK. We are extremely proud to be chosen to design and manufacture vessels that will give the Royal Navy an essential, next generation capability and be a vital addition to its fleet. The UK Government committed to eight advanced anti-submarine warfare ships in its 2015 Stategic Defence and Security Review (SDSR). 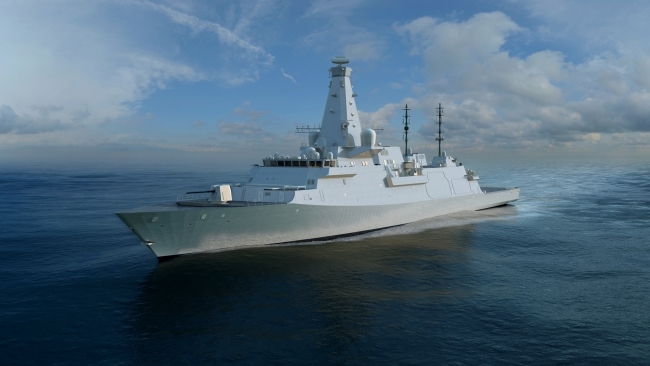 The Type 26 programme currently employs more than 1,200 people in the UK supply chain, with a number of contracts already in place for the manufacture of major equipment for the first three ships. In total, there are already 33 UK and international companies working in the supply chain to deliver the Type 26 ships – with further announcements to be made shortly.